This weeks Photo Wednesday was taken in Songdo International City, Incheon. 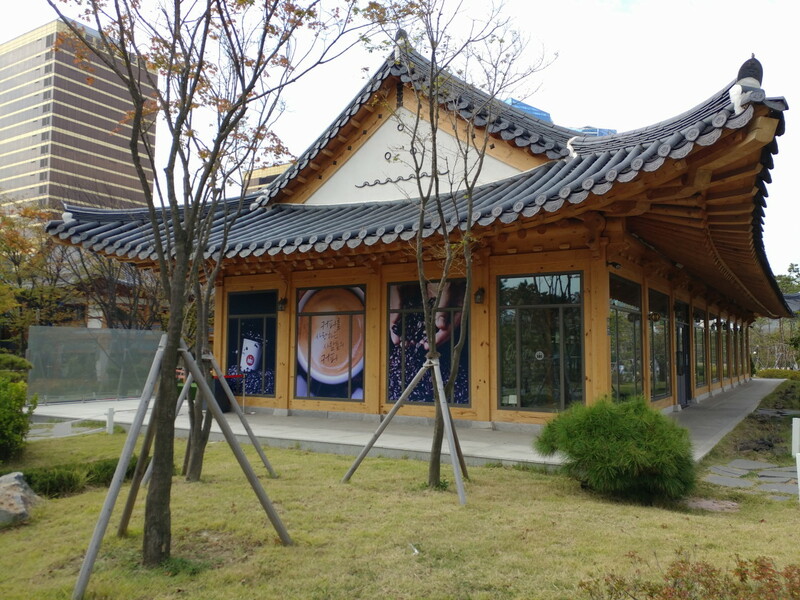 It’s of one of the buildings that makes up the Songdo Hanok Village. This building houses a Holly’s Coffee, but the village as a whole is home to a number of stores, restaurants and a hotel. It’s in a classic mainly wood built design, similar to the traditional areas of Seoul and other parts of South Korea. It’s a nice place to walk around if you’re visiting Songdo and it’s located next to the Central Park. Last weeks Photo Wednesday “Chili Pepper Farm in Gangwon-do” Please Click Here.